Jacqueline Felgate is an Australian reporter & journalist, who is mostly known for her work with the Channel 7 network. Jacqueline grew up in rural Victoria & was a self-confessed daddy’s girl for most of her life. An avid horse rider from a young age, she initially considered taking up a career in the equestrian field, but quickly realized it was more of a hobby for herself. She attended the Tintern Girls Grammer School. Teachers described her as being a bubbly girl, and a big fan of animals. After high school, she was accepted into the University of Melbourne where she eventually graduated with a Bachelor of Arts. She has said that her time at university was her first time away from home for an extended period of time, and she was quite homesick initially. 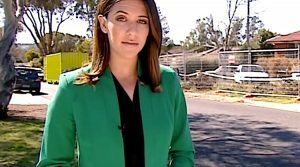 She met Michael Felgate in 2009, who at the time was working as a sports reporter for Channel 7 news. As of 2017, he is well known as being the lead presenter and spokesperson for Sports Bet. The two married in an intimate Melbourne ceremony in 2011. In 2013, Jacqueline gave birth to their first child, a daughter named Madison Felgate. This was followed by another daughter, Georgia, in 2017. Jacqueline has said that her pregnancies were both what would be considered easy, and she tried to remain as fit as possible throughout them to aid her after the birth. She has stated that with both pregnancies, she was still running everyday right up until her 30th week. Now that her daughters are growing up, she has said that she is starting to replace her running with a glass of wine at the end of the day as her way of having ‘me’ time. In Jan 2003, Jacqueline managed to secure a job as a copy-girl for Channel 7, which was the start of a long professional relationship. In 2005, she moved on to a journalist cadetship that also led to her becoming the Herald Suns State Political Reporter in that same year. In Jan 2007, she moved to doing freelance television work for the network. 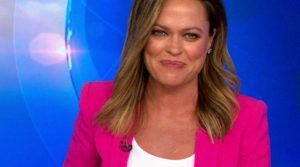 It wasn’t until February 2012 that she received her first permanent on-air role, as a member of the Melbourne Seven News Team. As of 2017, she is still with Channel 7, and works as their afternoon news presenter during weekdays. She is also responsible for the 6PM news reading. In June 2015, she became a YouTube sensation after the camera went to air without her realizing and she was shown all around Australia just staring off into space and fiddling with her hair. 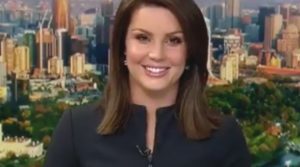 After producers prompted her, she launched into the news report after a minute, but had her terror time when she realized her reactions turned into numerous memes. Her work with Channel 7 has led to her receiving the prestigious Melbourne Press Club Quill Award. Birthday / Date of Birth / Jacqueline Felgate Age No confirmed information available.